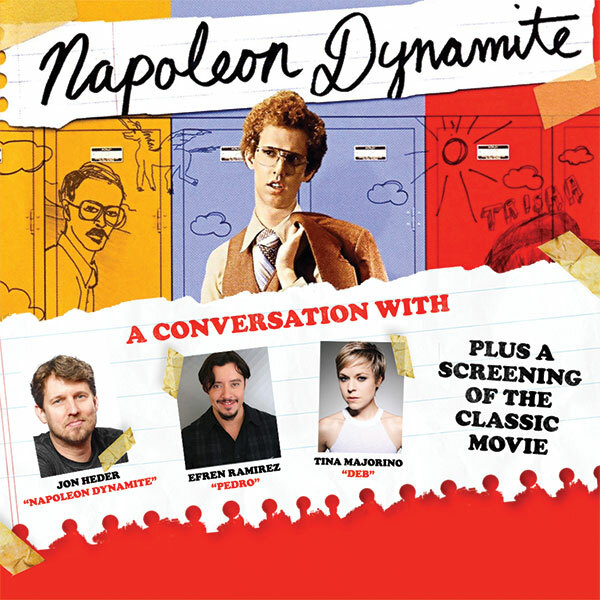 Napoleon Dynamite: A Conversation with Jon Hader, Efren Ramirez & Tina Majorino fans are getting excited and it’s easy to see why as St Augustine Amphitheatre announces their live show! All of this will take place on Wednesday 14th November 2018 – so what are you waiting for?! Book your tickets today!